Model: J3500. Hard Drive Size/Type: 128GB SSD. Tablet has light scratches on screen as shown in photo 3. Item has dirt, scuffs, sticker residue, and wear throughout tablet as shown. Manufacturer: Motion Computing. 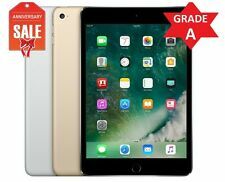 Apple iPad Air - A1474. Drive Size: 16GB. mp4, and. avi file format.". General minor scuffs and scratches on the back side. Good Condition. Part# MD785LL/A. These have been tested, cleaned and imaged, are in full working condition. Model: J3500. Hard Drive Size/Type: 128GB SSD. Item has dirt, scuffs, sticker residue, and wear throughout tablet as shown. Manufacturer: Motion Computing. Includes tablet, stylus pen, adapter, power cord. Capacity: 128GB. Model: 1631. Manufacturer: Microsoft. Includes tablet w/ adapter and power cord. Stylus: Not Applicable. Display: 12". SIM Card is NOT included. 431 N Wright Brothers Drive. 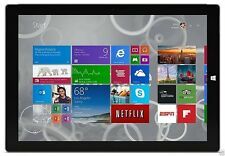 Microsoft Surface Pro 3 12" (128GB, Intel Core i5 4th Gen., 4GB) Free Shipping. Condition is Used. Shipped with FedEx SmartPost. Samsung Galaxy Book 12" Laptop~BRAND NEW FACTORY SEALED ~SM-W720NZKBXAR. Condition is New. This is a sort of Microsoft Surface competitor with Samsung’s spin. Each piece of hardware is a little bit different. • RAM: 4GB. • Processor: Qualcomm SDM850 (Quad 2.9GHZ Quad 1.7GHz). Samsung Galaxy Book 2 Specifications. Trending at $624.49eBay determines this price through a machine learned model of the product's sale prices within the last 90 days. Faults and defects as well as highlights are described. If in any way you are less than 100% satisfied, every reasonable effort will be made to make you happy. Microsoft Surface Pro 3 Pro 3 256GB, Wi-Fi, 12in - Silver. Condition is Used. Shipped with USPS Priority Mail. In really good condition. Works flawlessly and looks good with lite signs of use. Full Factory Reset ready to surf the wi-fi and work for you. Model Surface Pro 3 128GB. Storage 128GB. Keyboard Microsoft Type Cover with LED back-lit keyboard. Make Microsoft. Microsoft Surface Pro 3 Tablet PC. Genuine Microsoft Power Adapter. Microsoft Docking Station. Samsung Galaxy Book 12. Shipped with USPS Priority Mail. 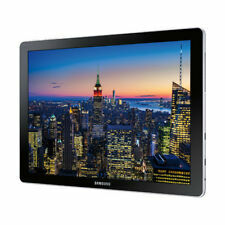 Samsung Galaxy Book 12 SM-W720 Like new tablet/laptop comes with detachable keyboard and power charger. Tablet has a brand new copy of Windows 10 and it has never been used. Please see pics for specs. Pick up only Centennial hills area. 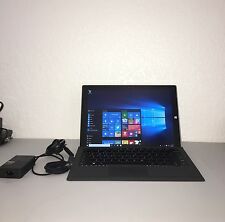 Microsoft Surface Pro 4 - 12.3" - Core i5 6300U - 8 GB RAM - 256 GB SSD. Microsoft Surface Pro 4. magnesium alloy. Native Resolution. Includes AC ADAPTER . Microsoft Surface. IIC is not responsible for software recovery or loss of data. Microsoft Surface Pro 3 256GB, Wi-Fi, 12in - Silver. Condition is Used. It has a minor crack and dent near the top left but the tablet is fully functional. See photos. Tablet only, no accessories included. Model Surface Pro 3 128GB. Storage 128GB. Keyboard Microsoft Type Cover with LED back-lit keyboard. Make Microsoft. Microsoft Keyboard Type Cover for Surface Pro. Microsoft Surface Pro 3 Tablet PC. Generic Microsoft Power Adapter. 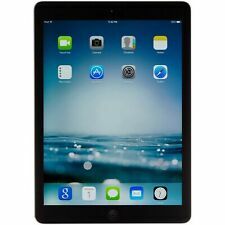 New ListingApple iPad Air 2 16GB, Wi-Fi, 9.7in - Space Gray, Excellent Condition! Apple iPad Air 2 16GB, Wi-Fi, 9.7in - Space Gray, Excellent Condition. Condition is Used. Shipped with USPS Priority Mail. Auction includes the iPad, an iPad Air box, charger, and power cord. Please note that the stand used to take the pictures is NOT included in the auction. Thanks for looking! 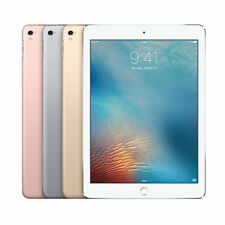 5 out of 5 stars - Apple iPad Air 2 16GB, Wi-Fi, 9.7in - Space Gray, Excellent Condition! 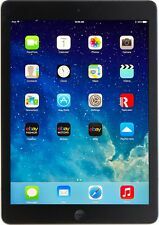 279 product ratings279 product ratings - Apple iPad Air 2 16GB, Wi-Fi, 9.7in - Space Gray, Excellent Condition! CPU : i5 4300U. HardDrive: 256 GB SSD. RAM : 8GB. Manufacturer: Microsoft. Detachable Backlit Keyboard. Physical Condition: Used. The keyboard is shiny with wear and the palmrest has a few scuffs and scratches. Storage Capacity 256GB. T This tablet is in very good working condition, screen has minor wear and back has normal wear. Stylus pen NOT included. Drive Capacity 256GB. The new Surface Pro 3 is in a category of its own. 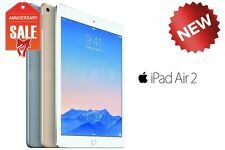 Apple iPad Air 2 16GB Wi-Fi 9.7" Space Gray A1566 MGL12LL/A. This iPad is in great condition and has always been used inside a protective cover so it is very clean on the outside (I am the original owner). It works just fine, although the battery life is obviously not as good as when it was new. Shipped free with USPS Priority Mail. Box and charger are included. With extra parts and OS this will be fully functional tablet. No DOA warranty, sold as is.